‘Orchestral Theatre’ is the form that I was trying to create for a modern symphony, having a sort of ancient ritualistic performance format, combined with the symphonic traditions. And so in “Orchestral Theatre”, so far I wrote four of them; No.1 focuses on the ancient rituals, the orchestra players not just playing but they are shouting, hunting, humming, singing, and it’s like Balinese, it’s like Aboriginal, it’s like a kind of ensemble in the village. 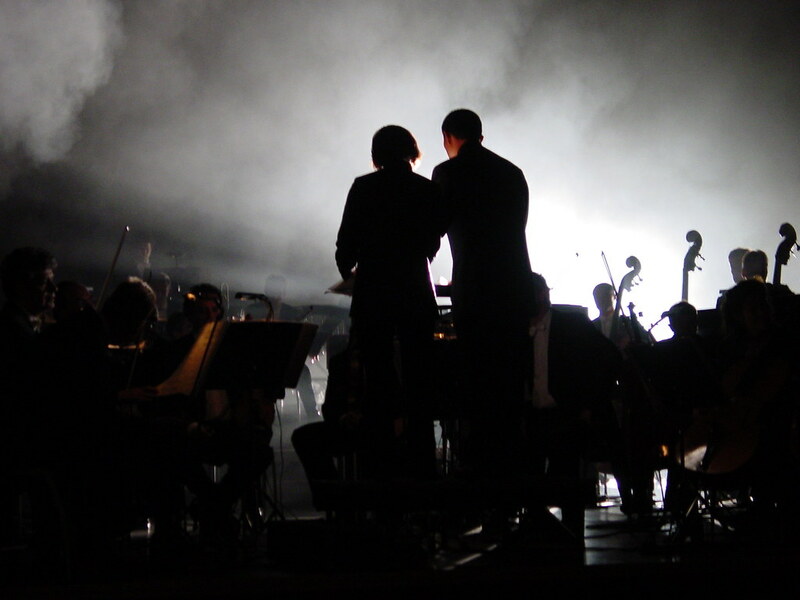 So “Orchestral Theatre”, the concept of it is enlarged, as the music develops from earlier themes. So I think to continue to save the life of orchestra, we had to continue the tradition of all kinds of not just 200 or 300 years of a Western or Chinese sort of condition, but we have to go much wider. The Orchestral Theatre series is Tan Dun’s decade-long concern with the reconciliation of apparent contrasts between “primitive” ritual and the modern concert hall experience, performer and audience, and Eastern and Western culture. 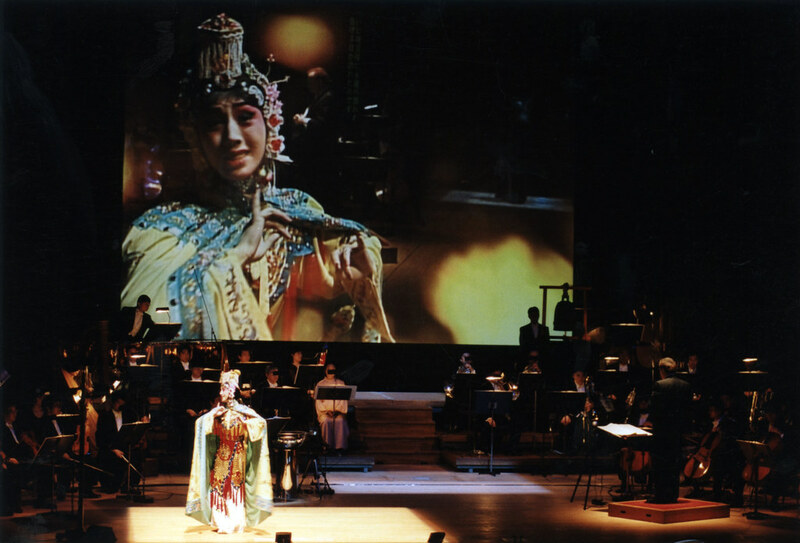 This series, which has spanned the years 1989-1999,, has come about in the final years of the 20th century and will provide a compass point for Tan Dun’s musical contributions for the 21st century. Orchestral Theatre I: Xun is concerned with the juxtaposition of non-Western sounds with the Western orchestra, also questioning the assumption that orchestra members only play instruments. Orchestral Theatre II: Re is concerned with ritual audience participation and non-traditional concert hall set-up. 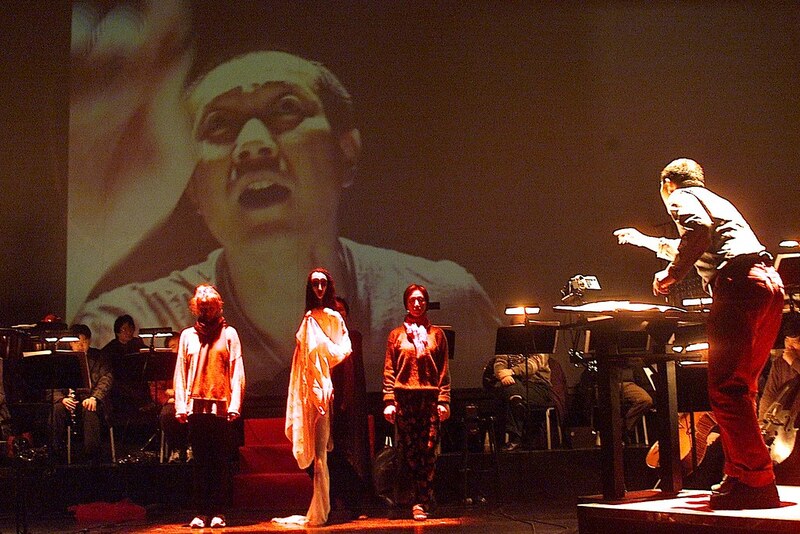 And Red Forecast: Orchestral Theatre III, which uses weather reports as a metaphor for history, is Tan Dun’s first video-music collaboration, exploring the use of video as a means of documentation (of news, sound, song, and text) and counterpoint to music. With The Gate: Orchestral Theatre IV, Tan Dun is further exploring his personal interest in multi-media and multi-culturalism. The three stories from three narrative traditions have as a starting point and central motive “fatal love,” tragically enacted through external circumstances. 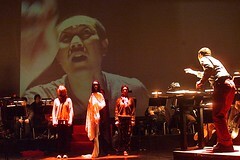 The thematic commonality of the characters’ plights functions as a theme and variations, a format which is the basis of Tan Dun’s musical concept of The Gate. In creating The Gate’s musical content, Tan Dun has raised a challenge for himself: how can stories that demand three different musical styles remain true to disparate musical traditions while retaining a fluid musical line linking the stories? Tan Dun realized that his philosophy of music provided an answer: “In my mind, all music—whether Eastern or Western—is one.” Thus, he utilizes the same musical materials throughout, but develops each character’s section through styles in keeping with the nationalistic, linguistic, media, and theatrical traditions of each character’s culture. 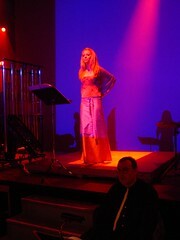 The first movement of the work contains the musical materials that will be developed throughout. The authentic musical gestures from the Peking Opera style of the Yu-Ji movement, Tan Dun’s “little streams” of melody, become a “big river” for Juliet’s movement in the “grand” style of Western opera. 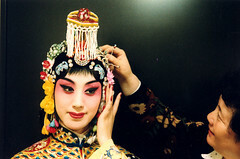 In the Koharu-san movement, the original Peking Opera motive becomes more abstract and theatrical, but is again recognizably in the Eastern tradition. 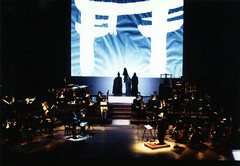 Tan Dun has come to these conclusions through reflection on his life experiences: having grown up in rural villages, developed musically and personally in downtown Manhattan, and traveled around the world ever since, Tan Dun has found that breaking down perceived boundaries between cultures and art forms comes naturally. 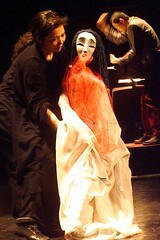 “That this piece is heading further into experimentation feels like it is more closely approaching my dreams,” he says. As such, he feels it is important to continue his exploration and celebration of multi-culturalism through the use of multi-media. 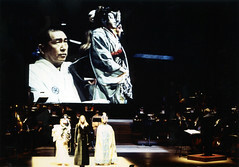 Tan Dun has collaborated with artists from each of the characters’ traditions. Each heroine tells her story in her own voice: Yu-Ji is performed by a Peking Opera actress, Juliet by a Western-style soprano, and Koharu-san by a Japanese puppeteer. 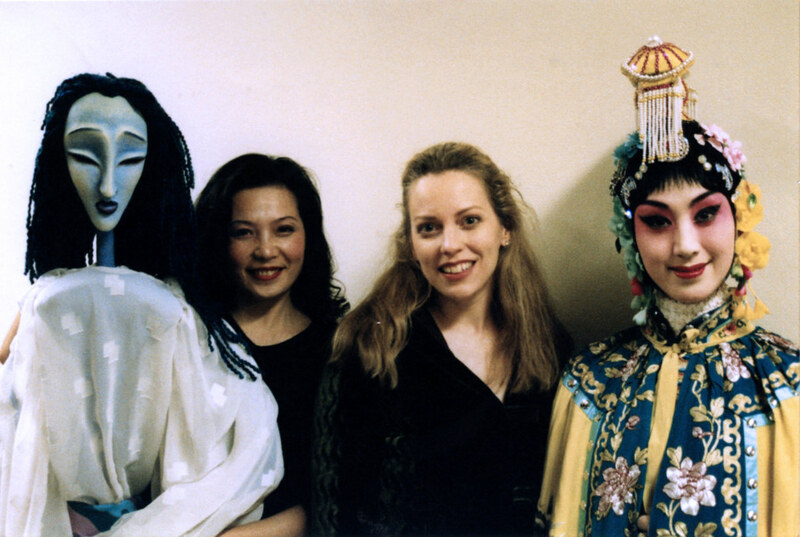 In keeping with a respect for the original, ancient and timeless voices of the characters and their creators, the texts have been abstracted from the originals in Tan Dun’s own libretto. To further emphasize the eternal yet immediate aspect of the work, Tan Dun has created a stage plan that will draw the audience into the action. 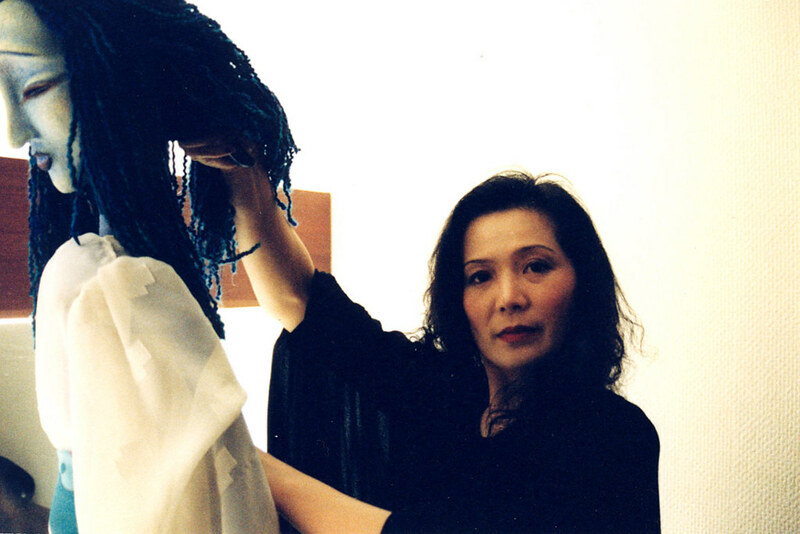 Along with the performers, Tan Dun has also invited a modern video artist to take part in the creation of this work. In contrast to the video element in Red Forecast: Orchestral Theatre III, which employed pre-prepared and stock film footage, The Gate will feature video images abstracted from the stage action and created as the performance is in progress. 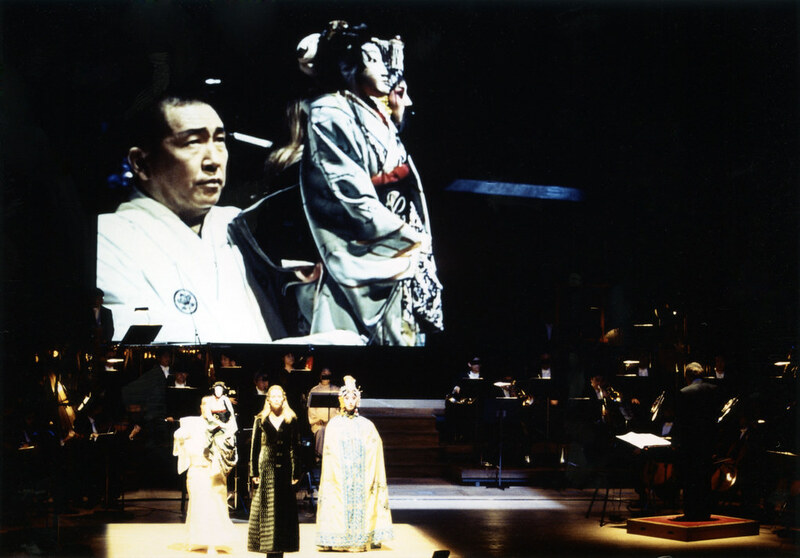 Tan Dun and Elaine McCarthy, his video artist, intend to establish new dramatic links through this medium, highlighting images from the stage action—intensifying the live experience for the audience and making the performance experience at once more real and surreal. 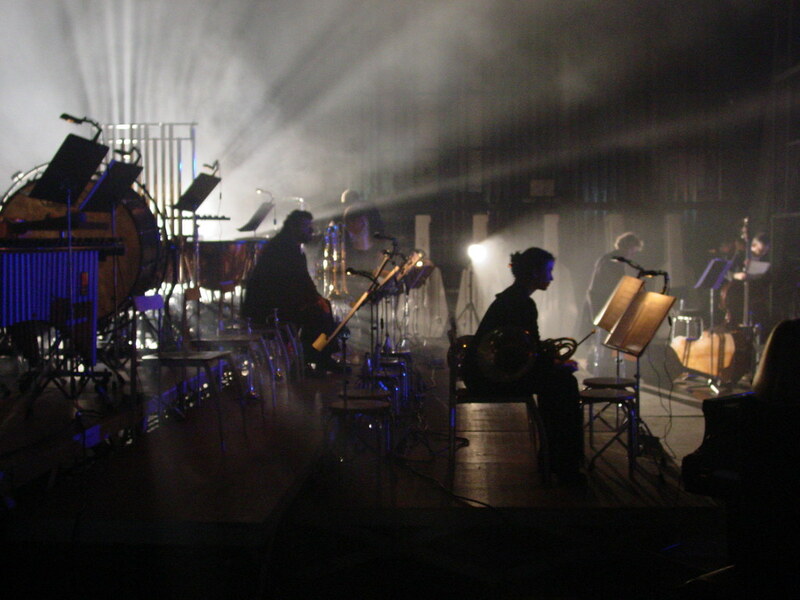 The set-up of the orchestra will allow a “surround sound” experience for the audience with the violins surrounding the audience area. The image of the concert hall is that of a courtroom in Hell, with the audience present not only at a musical event, but also witnesses to the defense of these characters’ lives and loves.